My high school team of 1989 was probably my strongest and most complete in three decades of coaching; but I would not have nominated Gil Talavera to one day play for the national team. Skill was not an issue; size was. At a time when most of his teammates were long past puberty, I wondered if there was an aberration to his DNA. Although he would later establish a name for himself as a defender, in my high school team he was, in fact, a left winger. I will not say that it was even his natural position. First of all, he is not left-footed; and even if the inverted winger had not yet been invented, I have nothing but scorn for that invention, anyway. No, he was in the left wing – or, more correctly, the left wing-half position – because there was nowhere else to play him. He was too well-motivated and too hardworking to leave out. Because he played a simple and thinking game, he was also among the team’s most consistent performers. After graduation from high school, he enrolled at the University of Santo Tomas to pursue a degree in Business Administration. He also played varsity football for the university. In his freshman year for the Growling Tigers in the UAAP, Gil played in either his high school position of left winger or at the opposite flank. The end of the school year also brought with it the graduation of many of the team’s defenders. Out of necessity more than anything, Gil found himself converted to defender. Besides, by that time the genes finally kicked in. “Who would have thought,” Gil says laughingly, “that I would finally grow up?” Frankly, I fretted that he ever would; even if I knew his elder brother and sister and that there is height in the family. The following year, he was played at right back or as central defender either in the position of sweeper or centerhalf-stopper. It was in this position that he would subsequently establish himself in what was then the relatively ignored world of Philippine football. It was a matter of time before Gil was drafted to play in the national team. His coach in UST was Noel Casilao, who was also at the same time coach of the Philippines. Gil’s first opportunity to represent the country was with the UST team that played in the 7th Asean University Games that was hosted by Malaysia in 1992. Two years later in Singapore, he was with a Philippine team made of UAAP standouts in the 8th edition of the games. 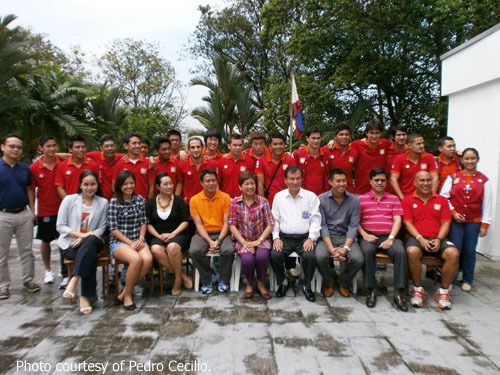 With the full Philippine international team, Gil played in the 1996 and 1998 Tiger Cup (currently known as the Suzuki Cup) held in Singapore and Vietnam, respectively. He was also with the squad in 1997 for a World Cup qualifying tie against Qatar and for the Southeast Asian Games hosted by Indonesia in the same year. Gil was supposed to be in the national team that was to be sent to the 1999 Southeast Asian Games in Brunei; but fractured his skull in training and had to be left behind. He had also represented the country in a futsal tournament held in Malaysia in 1996. Just last week, one of Gil’s high school teammates who was visiting from Canada remarked offhandedly while we were having lunch that Gil seems to be the only one from among the many who played under me who took interest in coaching. “There have been others,” I said. In retrospect, though, while I would not have nominated Gil back in 1989 to one day play for the national team, I certainly would have done so if the question was about coaching. He was a coach’s dream player, the one who did not complain and did as he was told. If there were disagreements between teammates, he was the peacemaker. His personality has always been driven by positivism; as opposed to the fault-finding person who cannot see past the mistakes. Later, he was asked to formally coach the university’s women’s football team. This he did from 1998-2003. At the same time, he had taken on coaching chores with the university’s men’s team in an assistant’s capacity. Gil is serious about his coaching career. He underwent a formal coaching course given by the Asian Football Confederation (AFC) in 2002 and received a “B” license to coach from the association. Just last March, he upgraded his license to “A.” He is also qualified to coach futsal, having obtained a Level 1 license from the AFC in 2010. 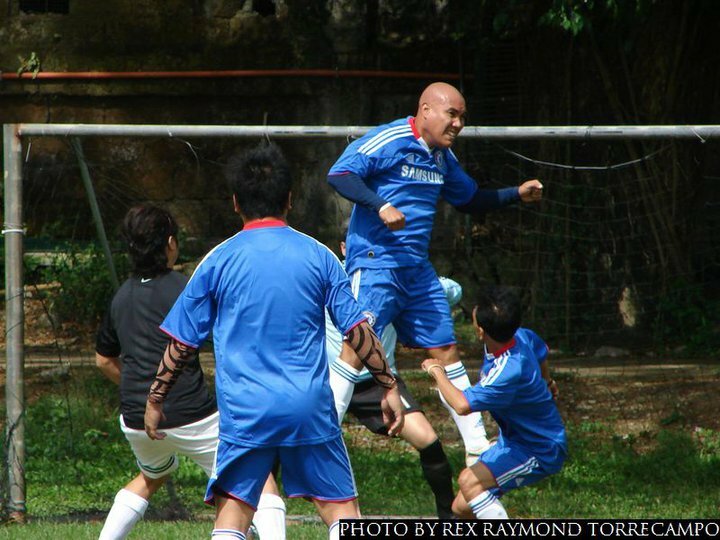 Gil is currently the assistant coach of the Philippine women’s national football team, known by the moniker Malditas. He travelled to Laos with the team last year to play in the Asean Football Federation’s women’s tournament. He again travels with the team this month to Vietnam for this year’s competition. He is also the assistant coach of the semi-professional club Loyola Meralco Sparks, which placed third in the 2012 season of the United Football League. The club is due to play in the semi-finals of the Singapore Cup later this year. The Sparks are, of course, the club of the Younghusband brothers Phil and James. Gil was actually assistant coach of what used to be the Loyola Aguila FC team that played in the UFL Division II in season 2010-11. 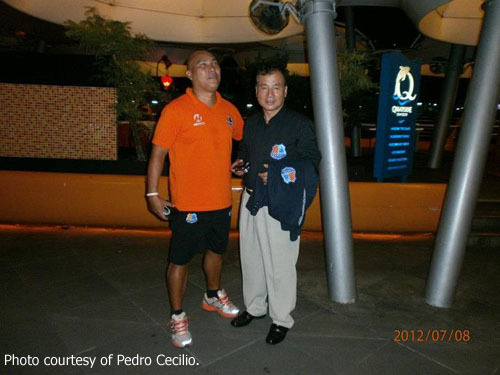 Last season, he was asked by club management to assist the Korean Master Kim in coaching the Sparks. He plans to stay with the Sparks for the coming season and hopes that fortune will favour the club better next time around. 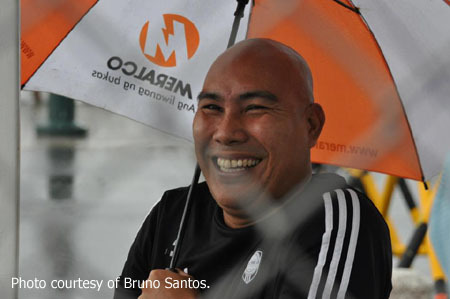 He is happy with the way his coaching career has gone, but dreams of one day returning to Batangas to help football grow in the province. Sounds like a darned good idea!